Less that five minutes drive from downtown, The Island Home Neighborhood was one of the first neighborhoods outside of downtown Knoxville to be on the streetcar line construction to create a “streetcar suburb.” Early residents of Island Home Park were middle class and professional people associated with the prosperous warehousing and industrial economy of early twentieth century Knoxville. Principally single family dwellings, the architectural styles in the neighborhood reflect the styles prevalent in the early 1900s, with Craftsman, Bungalow, Tudor Revival and Colonial Revival, as well as Minimal Traditional, being represented. In addition, Island Home has a beautiful public park on the shores of the Tennessee River and a General Aviation Airport, DKX. 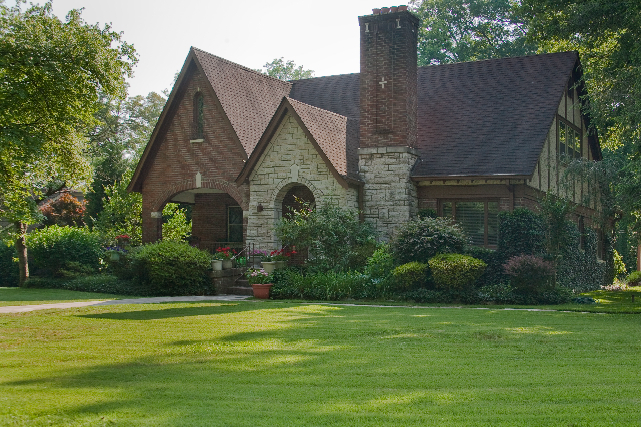 Lindbergh Forest is a neighborhood in Knoxville, Tennessee, United States, located off Chapman Highway (US-441) in South Knoxville, that is listed on the National Register of Historic Places as an historic district. 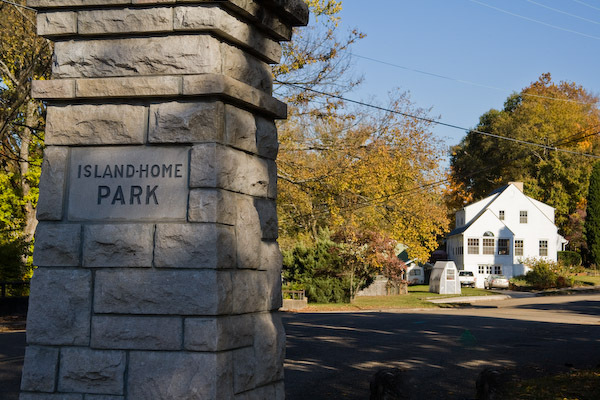 Initially developed in the late 1920s as one of Knoxville’s first automobile suburbs, the neighborhood is now noted for its late-1920s and early-1930s residential architecture, and the use of East Tennessee marble detailing. The neighborhood also contains two of Knoxville’s five surviving Lustron houses. In 1998, several dozen of its houses were added to the National Register of Historic Places as the Lindbergh Forest Historic District. Click here for a Wikipedia article on the neighborhood. Named for the many speakeasies that lined Central Avenue, Happy Holler does have a rich history, some of it quite scruffy. Known as a great place for libational relief during prohibition, it also became quite known for violence, great music and general all-around quirkiness. It could be considered the city’s crazy uncle. We love him, sometimes he’s messy, but he’s ours. They probably have more scruffy in them than anywhere else in the city. Now gentrified, Happy Holler is just a 5 minute drive from downtown and is now one of the most eclectic areas of Knoxville and home to hotspots such as Relix Theater, Chop Shop (a beauty salon), Central Flats and Taps, White Orchid Bridal and Raven Records along with Friend’s Antique Market and Taoist Tai Chi Society. Also one of the oldest business currently in operation on the block, the Time Warp Tea Room may be the only biker tea room in the region – or the world? Club XYZ next door has been around for a number of years as well. you’ll find many other quirky businesses as well as more recent arrivals. The Original Freezo has been in operation since 1942 and sits just to the west of the main block. Toots Little Honky Tonk is just around the corner. 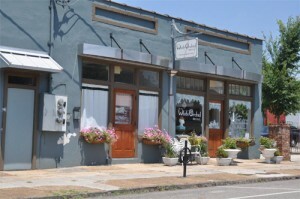 Happy Holler is also seeing an influx of young professionals that are renovating the historic stock of homes in the area. See more here. The marble industry once thrived in East Tennessee, and 100 years ago, Knoxville was commonly referred to as “The Marble City.” In the early 1900s, Knoxville was home to nearly 20 marble companies. From the 1920s through the 1970s, Candoro Marble Company served as one of the largest marble processors in the United States. Marble from local quarries was processed at Candoro and used in many historically significant building projects, including the beloved pair of lion sculptures entitled “Patience” and “Fortitude” at the entrance of the New York Public Library, and the exterior of the National Gallery of Art in Washington, D.C. .